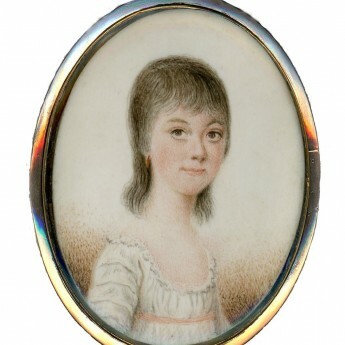 This jewellery-sized portrait portrays a pretty young lady with blue eyes and blushing cheeks named Miss Highat. She is wearing a white off-the-shoulder dress edged with lace and with a pink ribbon bow on the corsage. 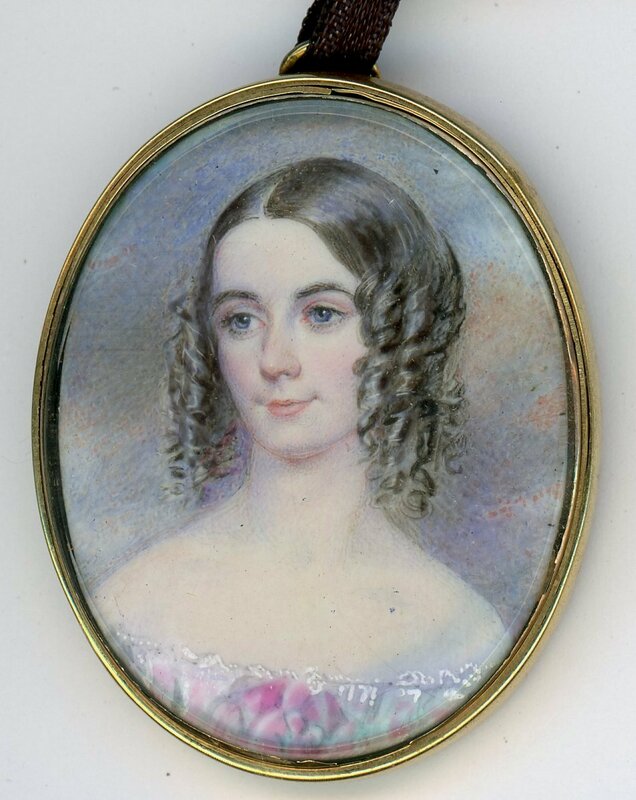 Her dark hair is swept back with long ringlets framing her face. 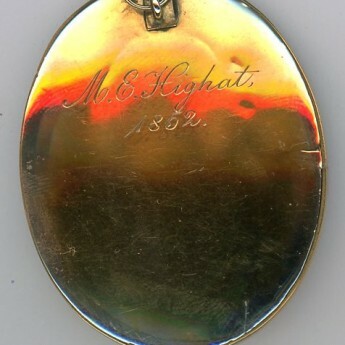 The portrait is set in a gilt metal frame that is engraved on the reverse ‘M.E. 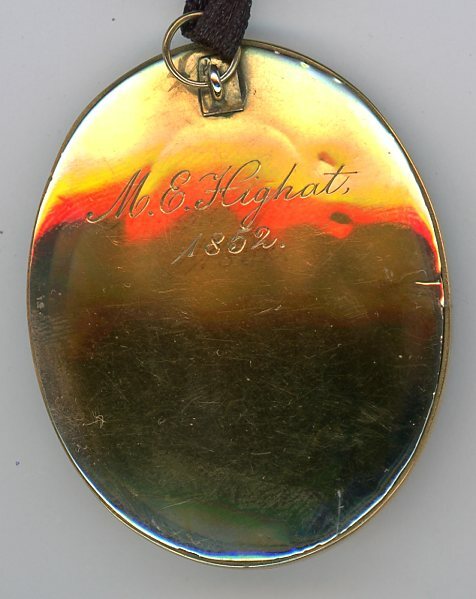 Highat / 1852’.